How could we make the ultimate easy brownies even better? Top them with Maltesers of course. Heat the oven to 170°C/150°C fan/gas 3½. Line the brownie tin with non-stick baking paper. Put the butter and dark chocolate in a heatproof mixing bowl set over a pan of simmering water, making sure the bowl isn’t touching the water. Meanwhile, in another mixing bowl, combine the eggs with the caster sugar. When the chocolate mixture has melted, stir it into the egg mixture with the flour and Maltesers. Pour the batter into the prepared tin and bake for 40 minutes until the top has developed a crust but the mixture still wobbles slightly when you nudge the tin. Leave to cool in the tin, then chill for 4 hours. 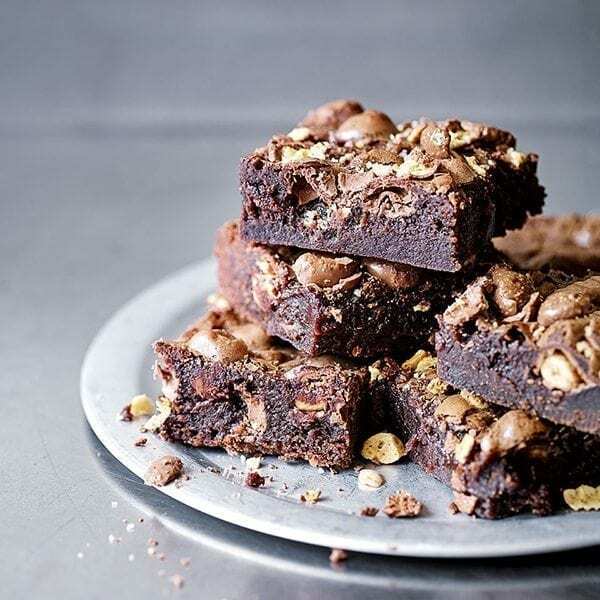 Slice into squares and serve topped with lightly crushed Maltesers. Make up to 24 hours in advance and keep in the fridge, unsliced. Alternatively, cool, wrap generously in cling film and freeze for up to 2 months. definitely will be trying the malteser brownies. look delish..